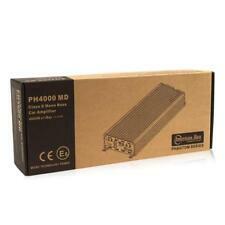 4000W Class D Amplifier Phantom Series Car Amplifier. 1 Ohm Stable Class D Mono Block Amplifier. Micro Technology Amplifier. Amplifier Specifications. Amplifier Series. Amplifier Class. Switchable Bass Boost: 0dB, 6dB, 12dB. Trending at $231.25eBay determines this price through a machine learned model of the product's sale prices within the last 90 days. 2800 watts max. Rmote bass knob. Variable bass boost: 0dB-9dB. Huge selection: tens of thousands of products in electronics, office, photo, furniture, appliances, computers, and many more. Variable low pass filter: 35Hz-250Hz. MPN HD3500. DIGITAL LINKABLE/MONO BLOCK AMPLIFIER. REMOTE BASS KNOB. VARIABLE BASS BOOST. VARIABLE LOW PASS FILTER. Condition NEW. RESPONSE: 15Hz-270Hz. VARIABLE SUBSONIC FILTER. 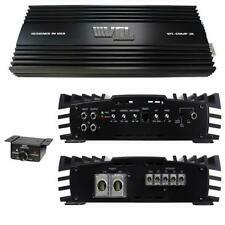 4000 Watts Max Power 1-Channel / Monoblock 1-Ohm Stable Class D Car Stereo Micro Tehcnology Amplifier. 1 Ohm Stable Class D Mono Block Amplifier. Amplifier Install Kit. Micro Technology Amplifier. Switchable Bass Boost: 0dB, 6dB, 12dB. 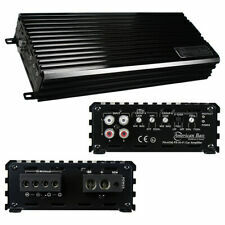 2500 Watts Max 1-Channel Monoblock 1-Ohm Stable Class D Car Stereo Micro Technology Amplifier. Phantom Series Monoblock Class D Car Amplifier. Amplifier Install Kit. Variable Bass Boost (0, 6, 12 dB bass boost at 50 Hz). DIGITAL LINKABLE/DUAL MONO BLOCK AMPLIFIER. REMOTE BASS KNOB. VARIABLE BASS BOOST. 3500 WATTS MAX @ 1 OHM. VARIABLE LOW PASS FILTER. VARIABLE SUBSONIC FILTER. 120 AMP EXTERNAL FUSE REQUIRED (NOT INCLUDED). Remote bass knob, included. Variable bass boost: 0dB-9dB. Variable low pass filter: 35Hz-250Hz. Variable subsonic filter: 10Hz-50Hz. 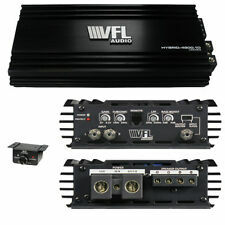 1600 Watts Max 1-Channel Monoblock 1-Ohm Stable Class D Car Stereo Micro Technology Amplifier. Phantom Series Monoblock Class D Car Amplifier. Amplifier Install Kit. 1 ohm: 800 watts x 1 chan. Max power output: 1600 watts x 1 chan. 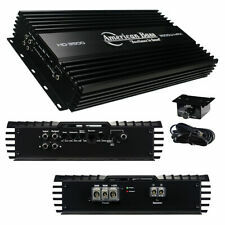 American Bass 4000W MAX Class D Amplifier Phantom Micro-Technology. Remote Bass Knob. 1800 Watts Max. Thd: 0.05%. S/N Ratio: 95 Db. 3000 Watts x 1 RMS @ 1 Ohm. Remote bass knob. Vaiable bass boost: 0 - 9dB at 45Hz. ohm stable class D. Low level input and output. Variable low pass fliter: 35Hz-250Hz aat 24dB/oct. 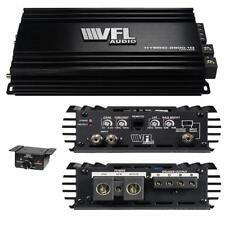 D VFL Audio Hybrid 4800 Watts D Class Amplifier. 4800 watts max. 2400 watts x 1 RMS @ 1 Ohm. Remote bass knob. Variable bass boost: 0dB-9dB. This amp has a 1 year warranty. Features 1 Ohm Mono Stable Class-D Amplifier Mono. 1 ohms: 1500 watts x 1 chan. 1 ohms: 2000 watts x1 chan. Variable Bass Boost: 0 ~ 9dB @ 45Hz. Woofer warranty does not cover burnt voice coils or punctures, only manufacturer defects. Model Number: VFLHYBRID48001D. Manufacturer Part Number VFLHYBRID48001D. Product Model VFLHYBRID48001D. Product Information. Model Number: PH4000MD. Manufacturer Part Number PH4000MD. Product Model PH4000MD. Product Information. Item#: 3586767.